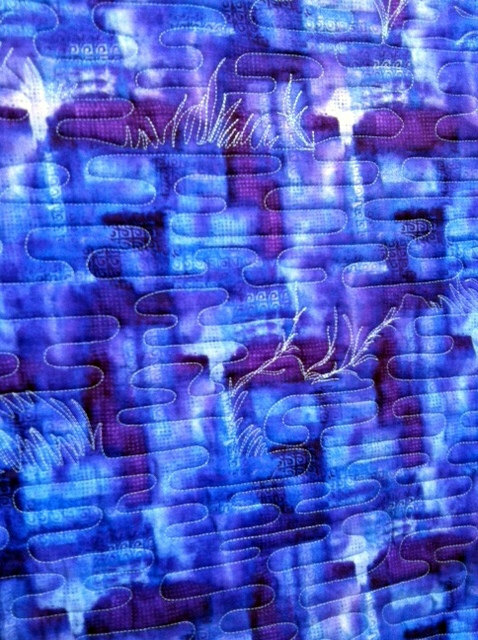 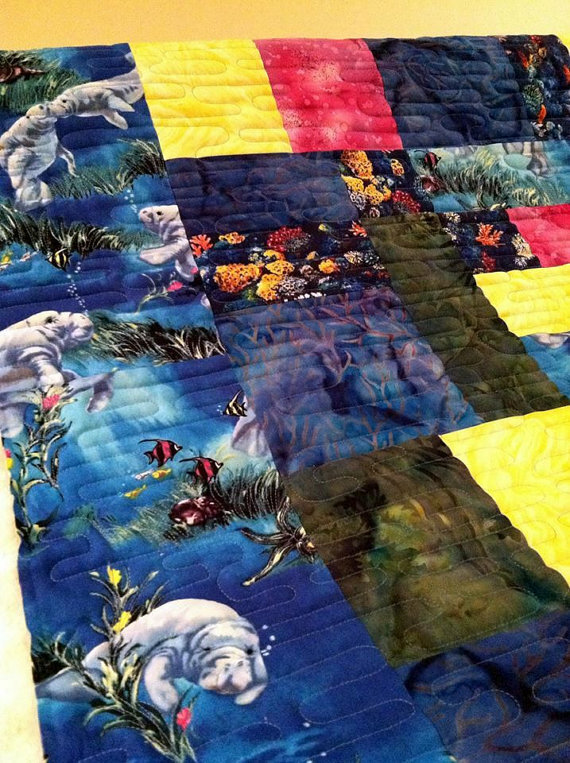 Go on an underwater adventure with manatees and other sea creatures with this quilt. 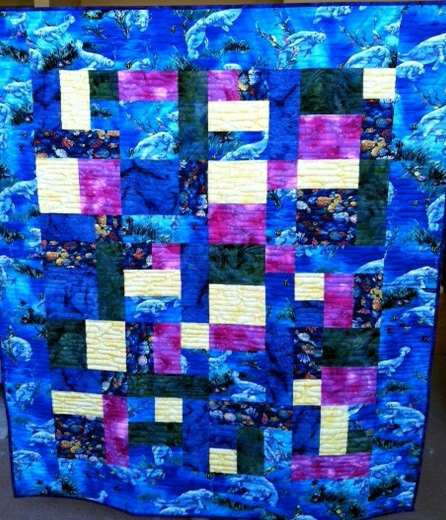 This yellow brick road pattern comes alive with custom machine quilting. 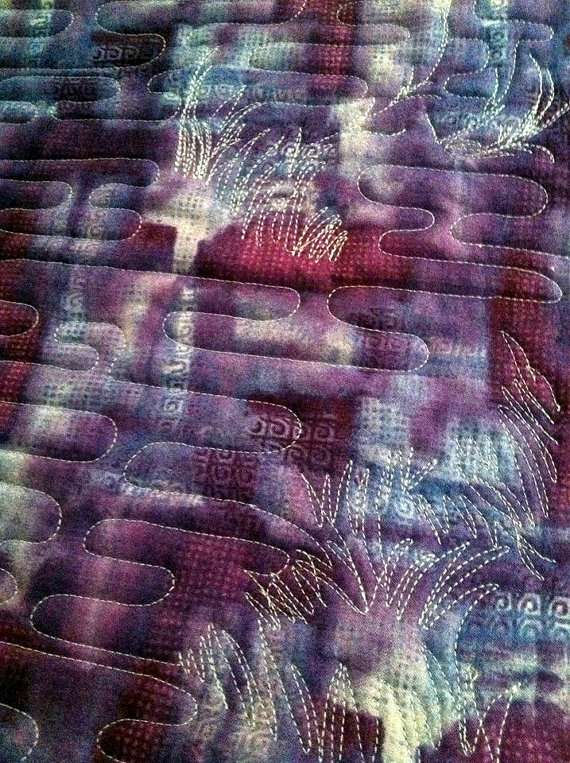 It measures 48″ x 58″ and was machine pieced and machine quilted in a smoke-free studio.